In is important that housing co-operatives are viewed in the context of the broader Co-operative movement which has a rich and colourful history. The formations of western style co-operatives have their foundations in UK, France and later in the USA, dating back to the late 1700s and were established as an alternative way of organising people who combined together in order to obtain better outcomes for the collective membership. Co-operatives have generally developed around groups of people who do not have fair access to political and economic power. By joining together as a co-operative, members combined their social, financial and/or political clout to obtain a more socially just outcome against the odds. Early examples of Co-operatives included the Women’s Guild which catered to poor working class women. It engaged in many political campaigns concerning women’s health, women’s right to vote and pacifism. 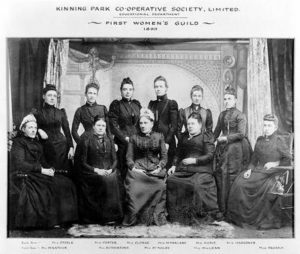 The organization still exists today as the Co-operative Women’s Guild and participates in social justice activism. Other co-operatives have formed around numerous issues such as farming and food production where large group of farmers shared the cost and risk between them to acquire land and develop their enterprises, also communal ownership of land, credit and financial co-operatives, purchasing co-operatives, alternative food co-operatives, housing and health co-operatives and many other examples of people combining together to improve their opportunities in life often based on social justice principles. Modern day co-operatives are many and varied. A number of large commercial co-operatives have formed throughout the world around business enterprises, such as retail banking, insurance, travel agencies etc. usually offering a better deal to the members. Other socially focused co-operatives have thrived such as the Renewable Energy Co-operatives in Europe, Fair Trade movement is based on a co-operative, Workers Co-operatives suchas Mondragon Corporation in Spain where worker join together to acquire factories and other business enterprises and currently has 75,000 employees. Obviously all of these changes and developments have been accompanied by changes in Government regulation and treats from major corporations and institutional powers all of which have posed a threat to the survival of co-operatives, but they have survived and are currently growing in strength in Europe. Asia, South America and Australia as well as the west. West Turks Rental Housing Co-operative – Sunshine and St. Albans area specifically targeted for families of Turkish origins. 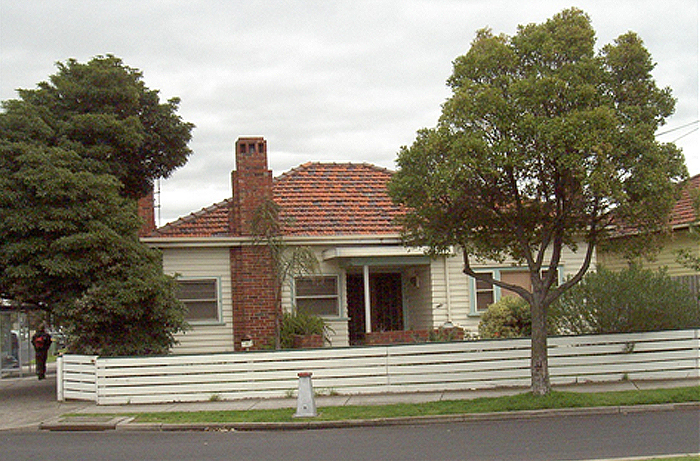 Common Equity Housing Ltd. provide housing, resources and support to over 118 rental housing co-operatives across Victoria housing over 2000 members and their families. 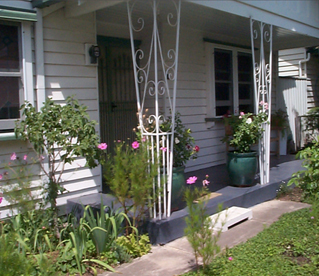 National Housing Co-operative Network – In 2015 a national network of Co-operatives was formed to promote the work of rental housing co-operatives across Australia. United Housing Co-operatives General Manager, Peter Sibly is the Rental Housing Co-operative’s representative on the national network. 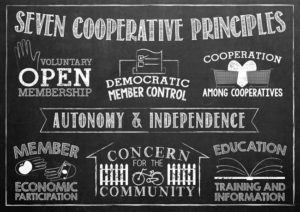 The 7 Cooperative Principles as outlined by The International Co-operative Alliance. The International Co-operative Alliance (ICA) represents 292 member co-operatives across 95 countries, and represents over 1 billion people. The ICA has developed the International Co-operative Principles which UHC has adopted as guiding values. Co-operatives are democratic organizations controlled by their members, who actively participate in setting their policies and making decisions. Men and women serve as elected representatives, and are accountable to the membership. In primary co-operatives, members have equal voting rights (one member, one vote) and co-operatives at other levels are organized in a democratic manner. Members contribute equitably to, and democratically control, the capital of their co-operatives. At least part of that capital is usually the common property of the co-operatives. They usually receive limited compensation, if any, on capital subscribed as a condition of membership. Members allocate surpluses for any or all of the following purposes: developing the co-operative, possibly by setting up reserves, part of which at least would be indivisible; benefiting members in proportion to their transactions with the co-operatives; and, supporting other activities approved by the membership. Co-operatives are autonomous, self-help organizations controlled by their members. If they enter into agreements with other organizations, including governments, or raise capital from external sources, they do so on terms that ensure democratic control by their members and maintain their co-operatives’ autonomy. Co-operatives provide education and training for their members, elected representatives, managers and employees so they can contribute effectively to the development of their co-operatives. They inform the general public – particularly young people and opinion leaders – about the nature and benefits of the co-operation. Get Mutual is a self-help website to provide information and resources on setting up and running a co-operative. See http://www.getmutual.coop/ for more info. Get Mutual is an initiative of the Business Council of Co-operatives and Mutuals, Australia’s cross sector peak body for all forms of member owned business. See http://bccm.coop/ for more info.